KUALA LUMPUR: The Securities Commission’s Audit Oversight Board has rapped two registered auditors Lim Kok Being of Ong Boon Bah & Co and Chan Kee Hwa of Khoo Wong & Chan for non-compliance. The Securities Commission said on Tuesday the two auditors for not complying with the International Standards on Auditing while auditing the financial statements of public interest entities. The two were also found to have breached the registration conditions imposed by the AOB under section 31O(4) of the Securities Commission Act 1993 (SCA). In addition to the reprimand, a monetary penalty of RM10,000 was imposed onLim Kok Beng of Ong Boon Bah & Co. The SC said the two auditors are the first to be reprimanded by the AOB in 2014. The audit regulator had in previous years taken action against eight individual auditors for failing to comply with auditing and ethical standards. “The Audit Oversight Board emphasises that the reprimands do not necessarily suggest that the financial statements of the affected public interest entities contained any material error or their financial reporting controls are weak,” it pointed out. 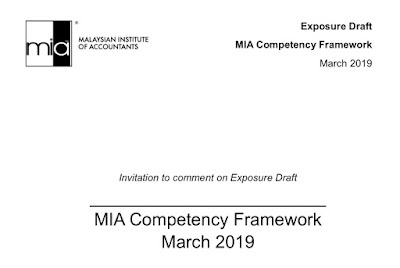 "While we are pleased with the overall efforts taken by the auditors in Malaysia in ensuring the quality of their work, the AOB will not hesitate to take action to ensure auditors comply with relevant standards. The value of audit is the reliability of the reports issued by the auditors," said Audit Oversight Board executive chairman Nik Hasyudeen. The Audit Oversight Board was set up by the Securities Commission Malaysia in 2010, to oversee the auditors of public interest entities, protect investors' interest and promote confidence in the quality and reliability of audited financial statements of public interest entities.